'The Night Ferry', BR poster, 1953. 'The Brighton Belle', BR poster, 1958. 'The Bournemouth Belle', BR stock poster, 1953. 'Expres Freight', BR poster, 1948-1965. 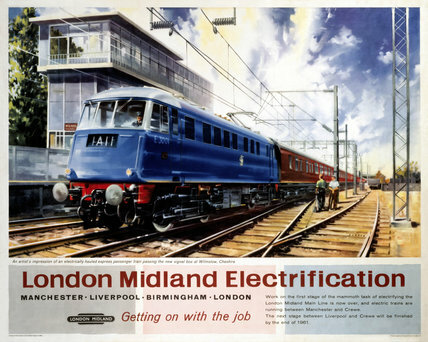 "'Now at you service - Diesel trains...', BR (LMR) poster, 1950. "